High electricity costs make renewable energy more attractive. That’s why Bloomberg thinks Australia is poised to have a renewable energy bonanza. 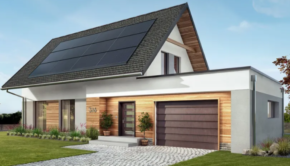 “The payback period for residential solar is now as low as it was in 2012, when super-generous feed-in tariffs and subsidies drove a massive boom in installations,” says Annabel Wilton, an analysts for Bloomberg New Energy Finance in Sydney. By 2040, up to 45% of Australia’s electrical power is predicted to come from “behind the meter” systems consisting of solar panels and battery storage located on private property. 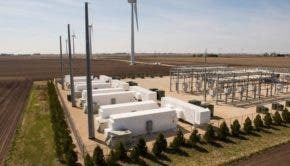 If that prediction comes true, Australia will lead all other countries in renewable energy production.”We will see I think a boom over the next decade in battery storage and also solar thermal, we’re starting to see that play out now in South Australia,” says Andrew Stock of Australia’s Climate Council. The project with Tesla “opened up [Neoen’s] thinking with respect to large-scale storage,” he says, according to a report by Forbes. Although Tesla has not yet become involved in the Queensland project, the fact that it worked well with Neoen in South Australia suggests both companies would be willing to work together again if the opportunity arises. The Sydney Morning Herald reports this week that the University of New South Wales has signed a 15-year power purchase agreement with Maoneng Australia, whose Sunraysia solar power plant near Balranald will provide 530,000 MWh of electricity annually — more than any other solar installation in the country. The university has contracted to buy about a quarter of that supply — 124,000 MWh — which is enough to meet virtually all of its electrical energy needs. “We are seeing a strong trend amongst corporate energy users turning to PPAs as a way to hedge against future pricing movements and to meet their green energy objectives,” says a spokesperson for Australia’s Energy Action. People in Australia use words like “amongst” and “whilst” frequently. “Over the past six months, UNSW has collaborated with our contract partners Maoneng and Origin to develop a Solar PPA model that leads the way in renewable energy procurement and reflects our commitment to global impact outlined in our 2025 strategy,” says Ian Jacobs, vice chancellor for the university. The PPA will be a major part of its commitment to become energy carbon neutral by 2020. There are plenty of politicians around the world who are in thrall to fossil fuel companies. But business is business, so they say, and nothing gets the attention of business people like the opportunity to slash costs. The trend toward renewables in Australia proves once again that if the people will lead, their leaders will follow — eventually.